A campaign by high street soap retailer Lush to raise awareness of the ‘spycops’ scandal was criticised by the government. But Hazards editor Rory O’Neill reveals how an official cover-up of police complicity in the illegal blacklisting conspiracy is denying justice to victimised union and safety activists. It was a secret strategy that saw union, safety and activists’ groups infiltrated by undercover police officers. It involved extensive police collusion with an illegal blacklisting organisation. But the police forces and officers responsible are being shielded by an official inquiry and are refusing a legal duty to respond to union requests for clarity on behalf of members whose lives were ruined as a result. It was a situation that concerned Mark Constantine, owner of the high street soap and cosmetics chain Lush. After discussions with the Blacklist Support Group, displays condemning the police strategy appeared in Lush stores in June 2018. 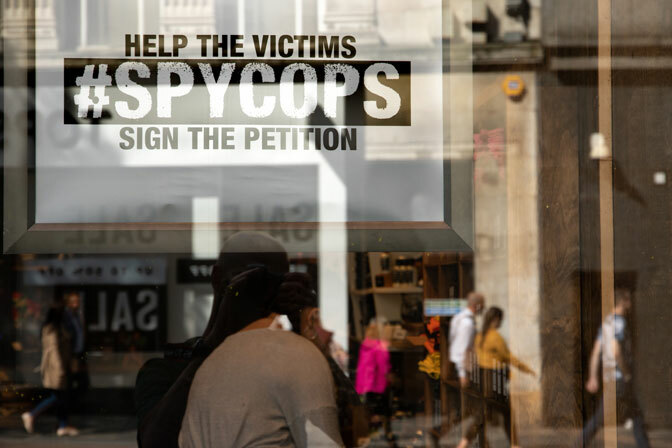 Customers were also asked to sign a postcard urging home secretary Sajid Javid – who criticised the Lush action – to appoint a panel of experts to the Mitting inquiry into undercover policing and to release the personal files of victims. SOAP OPERA Cabinet minister Sajid Javid tweeted his disapproval of a Lush store front campaign to expose police collusion in the blacklisting of union safety activists. But affected workers said it was a welcome alternative to police secrecy and an inquiry that risked being a ‘whitewash’. Blacklist Support Group secretary Dave Smith, who was blacklisted for his union safety activities and was involved in groups infiltrated by undercover officers, praised Lush founder Mark Constantine. “He promised to publicise the spycops issue in every store across the UK and he has lived up to his word,” he said. The inquiry was due to conclude this year but has yet to hold any substantive hearings in public and will now end in 2023 at the earliest. The delay has been caused by the police who have attempted to keep secret the identities of many of their undercover officers who were sent to spy on political groups. The victims have accused Lord Mitting of allowing too much of the inquiry to be held in private, ignoring their desire to hold the police to account in public. They say the actions by officers not only robbed workers of their incomes, it undermined safety at work. It was a double crime for which both spycops and their police forces should be held to account. Activists in union site safety campaigns were common targets of the undercover police officers, but the devastating impact of the actions of these infiltrators was amplified because they operated in the interest of companies aiming to quash union action on safety. It not only made it harder to keep a job on site, it made it harder to leave it in one piece. The Metropolitan Police has admitted passing the information it obtained on safety campaigners to the Consulting Association, an illegal blacklisting organisation financed by major construction companies. The association was shutdown by the Information Commissioner’s Office in 2009. But Scotland Yard has refused to release any information on the extent of its relationship with the illegal operation or the major construction companies that were its paymasters. In June 2018, the union GMB referred the Metropolitan Police to the Information Commissioner's Office (ICO) after the force failed to answer a related freedom of information (FOI) request. On 9 April 2018, the union had filed an FOI request for the Met’s full internal investigation report into surveillance by undercover officers of individuals identified because of their union and safety activities, all emails relating to the report and details of overt and covert meetings between officers and members of blacklisting organisations. The statutory deadline for Scotland Yard to respond passed at the end of May 2018. Despite a follow up letter, the union said it had not received a response. 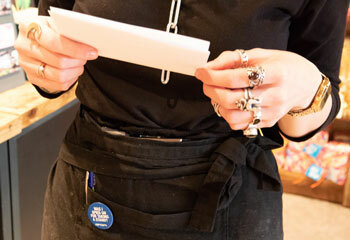 Leading politicians, lawyers, union officials and victims of the undercover policing practice signed a 4 June 2018 open letter defending Lush in the wake of criticism of the company’s campaign. The shadow chancellor John McDonnell and union leaders Len McCluskey, Matt Wrack and Manuel Cortes were among the signatories. The former wives of undercover cops whose partners started secret relationships and sometimes second families with targeted activists under assumed names, have also backed the Lush stance. Offshore union Unite has called for an investigation into claims of blacklisting threats at one of the UK’s biggest gas fields. The union has had a “considerable number of reports” of threats of workers being NRBd – not required back – from members working for contractor Bilfinger Salamis on the Culzean platform. It is understood a number of scaffolders were threatened with being NRBd and told they would not work for Bilfinger again if they raise health and safety concerns. In 2009, an agreement was reached between industry officials and union leaders to ban the practice of workers being NRBd to help encourage whistleblowers with safety concerns. The Offshore Coordinating Group, made up of several unions including Unite, GMB and RMT, hosted a ‘Reflections on Piper Alpha’ conference in Aberdeen in August, marking 30 years since the 1988 tragedy in which 167 offshore workers died. RMT regional organiser Jake Molloy said “all the signs” of fatal incidents such as the 2003 Brent Bravo in the North Sea and 2010’s Deepwater Horizon in the Gulf of Mexico are resurfacing. He accused operators of hiding behind a ‘safety net’ of telling workers they should have stopped the job after a tragedy had occurred.